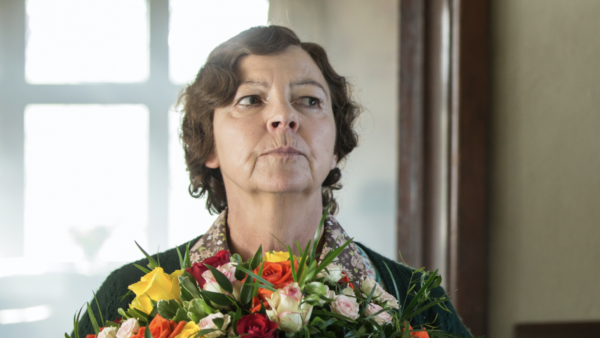 On “Grantchester,” veteran actress Tessa Peake-Jones doesn’t exactly play the most personable of people. 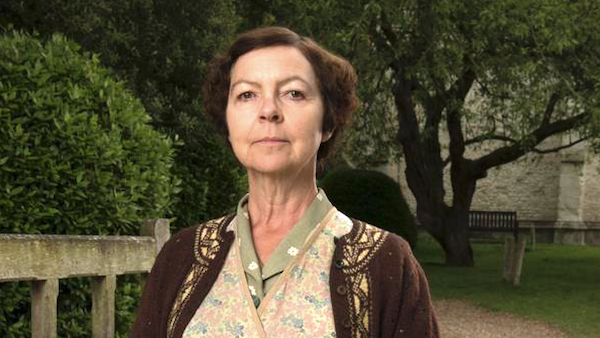 As Mrs. Maguire, Peake-Jones’ character serves as Sidney’s housekeeper and occasionally unwelcomed advisor. It’s a tough gig. In this role, Peake-Jones delivers a complex character whose big heart is often masked by her belief in traditions, manners, and a serious – dare we say strict – approach to life and all its nuances. Admittedly though, Peake-Jones didn’t accidentally stumble upon the tendencies that make Mrs. Maguire who she is. Rather, Peake-Jones previously spent much time in the presence of such a figure. Even though the Mrs. Maguire character is a rather stern one, that doesn’t deter people from approaching Peake-Jones in public. 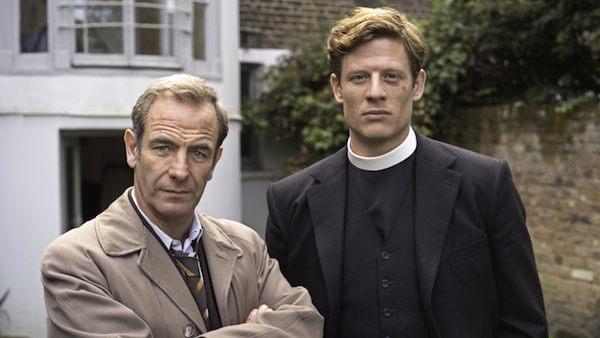 This week on “Grantchester” (Wednesday, March 28 at 10pm ET/7pm PT): When a man dies in a police cell on Geordie’s watch, Sidney seems to be his only ally – but the vicar’s mind is elsewhere as one of his flock faces the gallows. 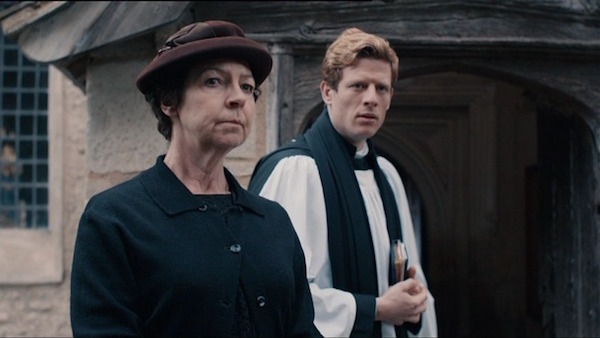 This entry was posted in Articles and tagged British, Grantchester, James Norton, Mrs. Maguire, Tessa Peake-Jones. Bookmark the permalink. ← Cameras are Rolling for Cold Feet’s Eighth Season!